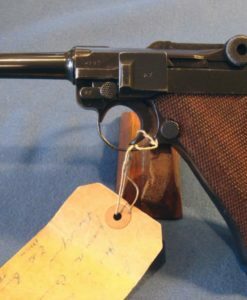 SOLD RARE RAF MARKED BRITISH 1935 ENFIELD No2 Mk1 REVOLVER…UN-MODIFIED WITH HAMMER SPUR….WITH 1941 RAF HOLSTER…..MINT CRISP!!! 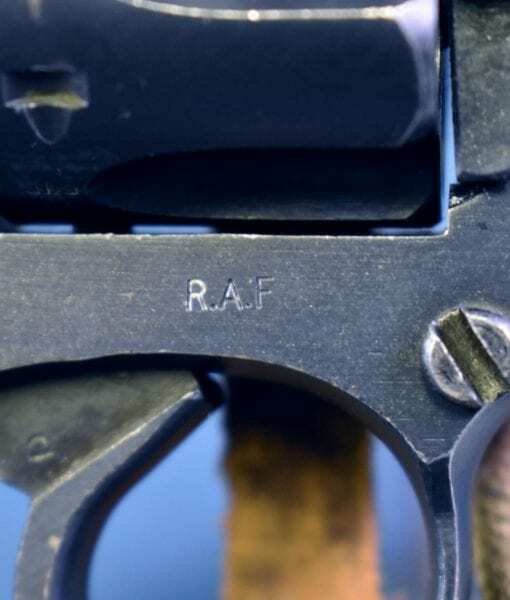 IN 98% MINT CRISP ORIGINAL CONDITION, ALL MATCHING AND WITH AN EXCELLENT BORE, WE HAVE A VERY HARD TO FIND RAF…. 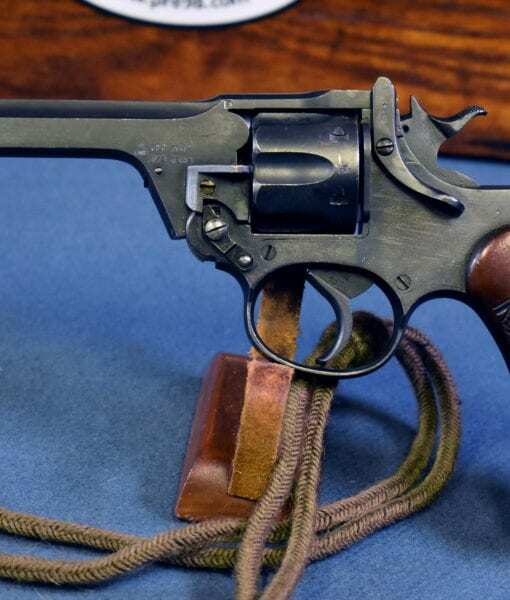 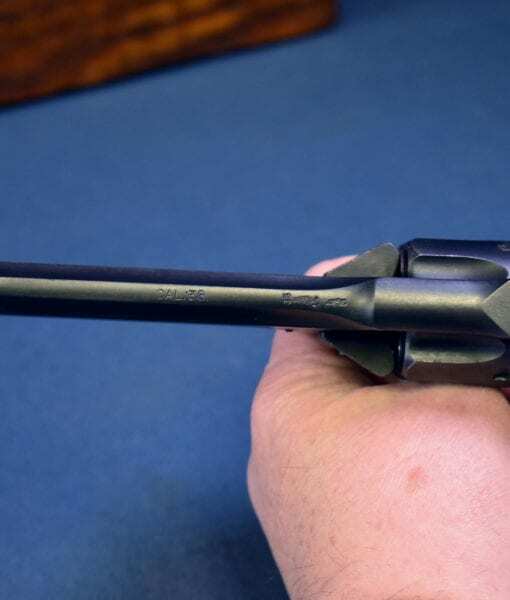 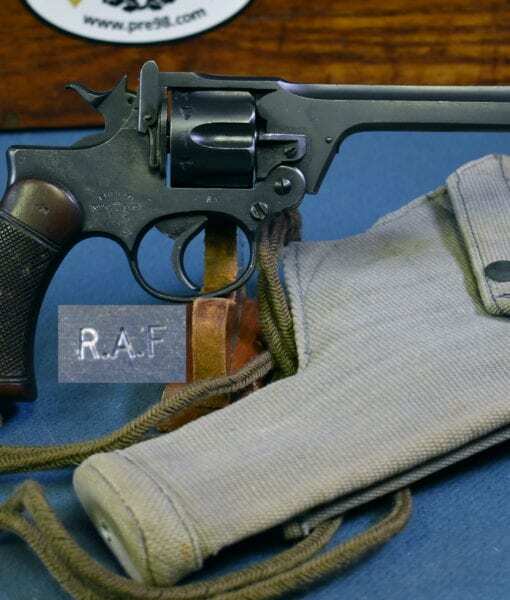 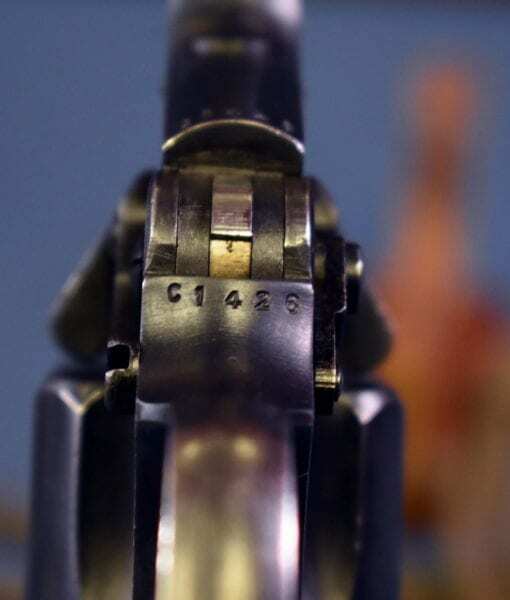 ROYAL AIR FORCE MARKED 1935 No2 Mk1 ENFIELD SERVICE REVOLVER IN 38 S&W. 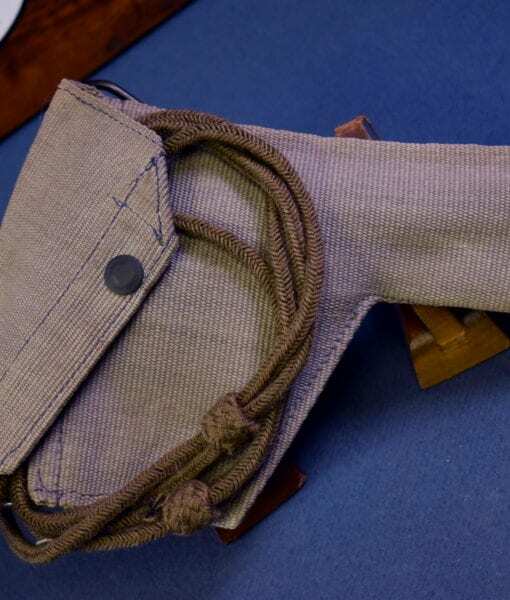 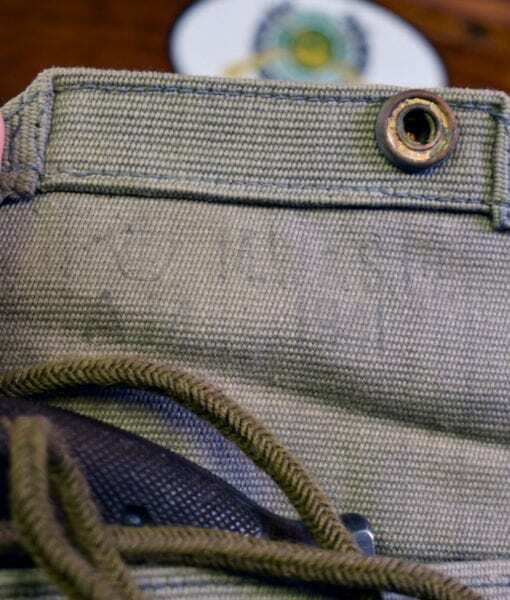 THIS IS WITH A VERY HARD TO FIND RAF ISSUED 1941 DATED HOLSTER AND A LANYARD TOO. 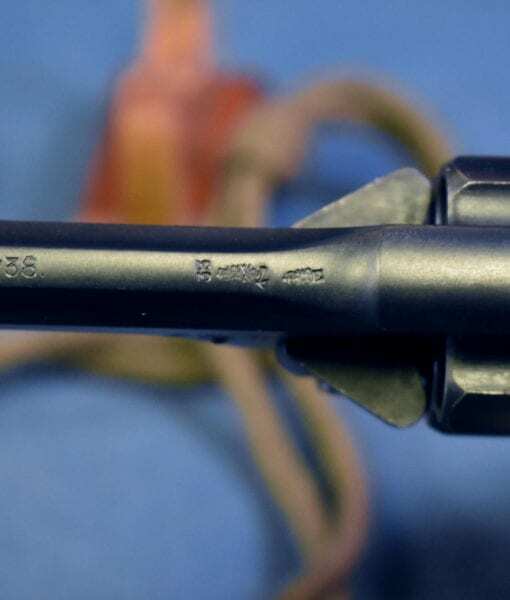 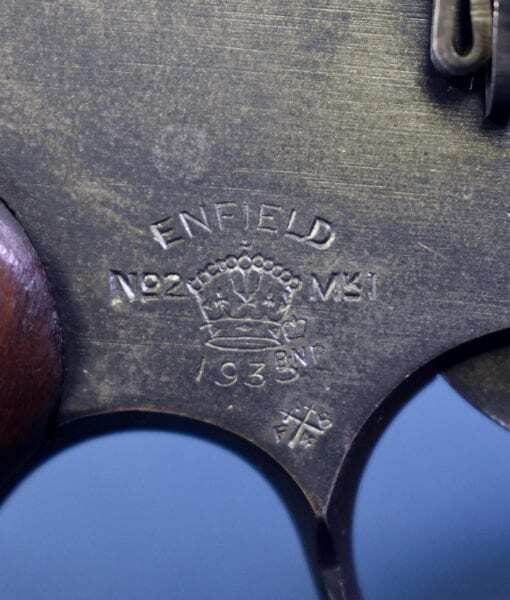 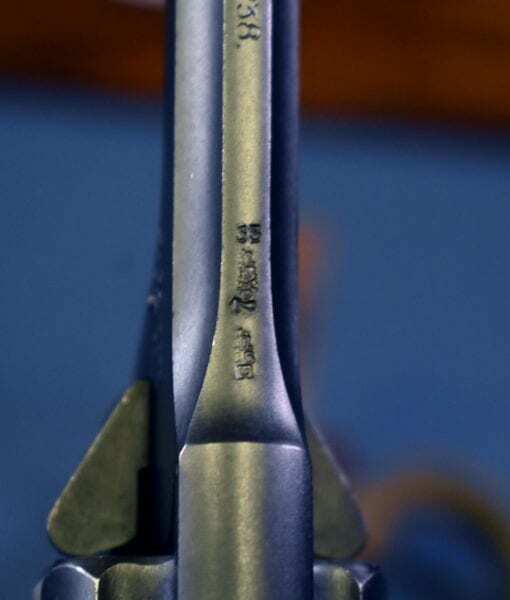 THERE ARE A LOT OF ENFIELD REVOLVERS FLOATING AROUND BUT VERY FEW THAT STILL HAVE THE HAMMER SPUR LET ALONE BEING RAF MARKED. 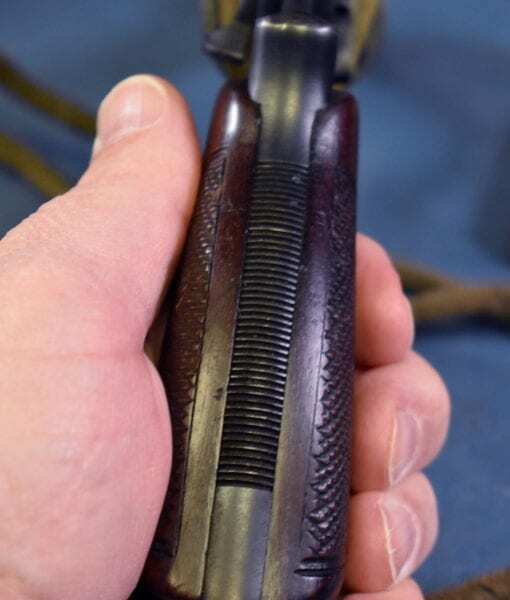 ALMOST ALL OF THESE WERE MADE DOUBLE ACTION ONLY WITH NO SPUR ON THE HAMMER. 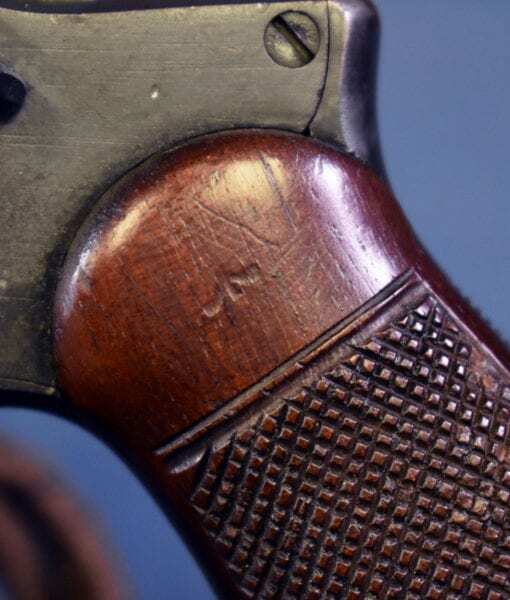 ALMOST ALL OF THE VERY EARLY GUNS THAT HAD A SPUR HAD THEM REMOVED. 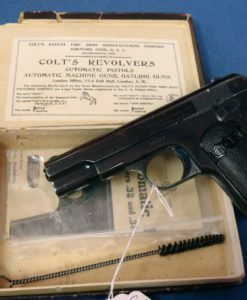 WE RARELY SEE ONE OF THESE THAT IS IN IT’S ORIGINAL CONDITION. 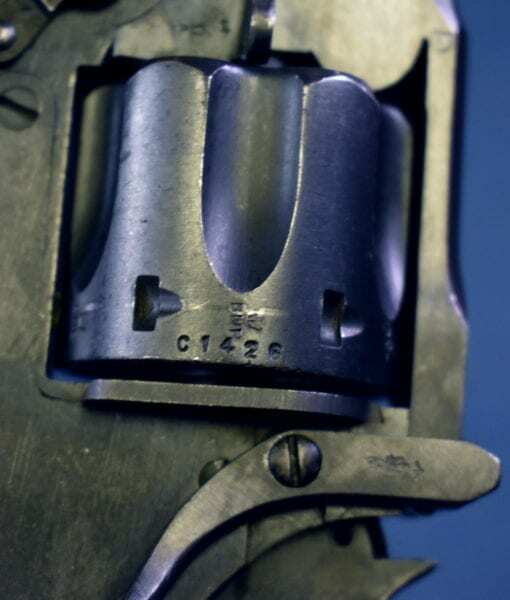 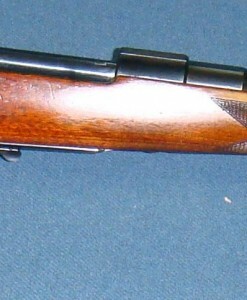 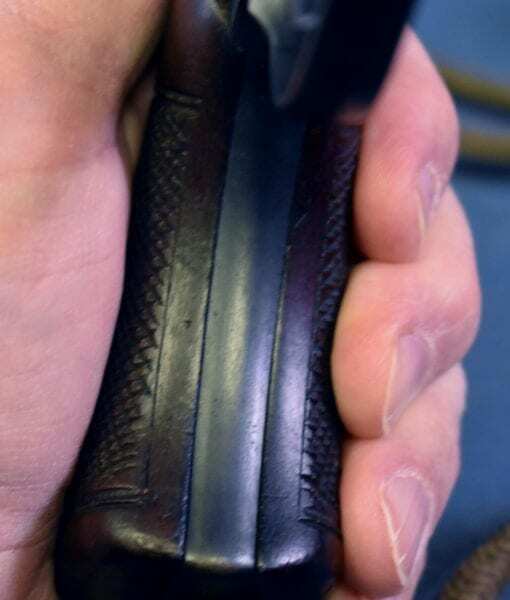 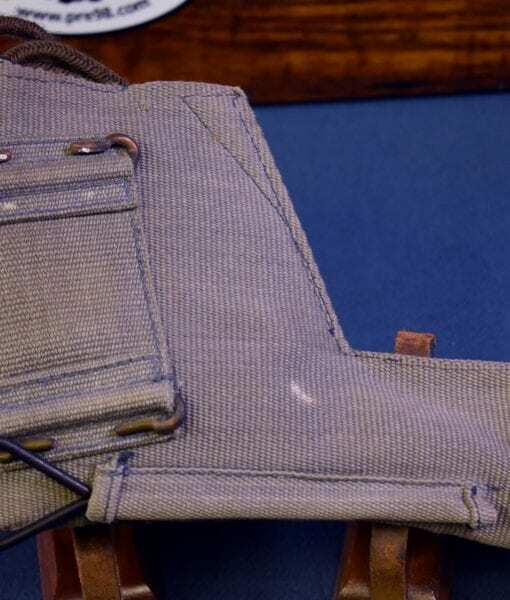 THIS IS AN EARLY RAF ISSUED GUN AND THIS IS PROBABLY THE REASON IT WAS NOT BUTCHERED. 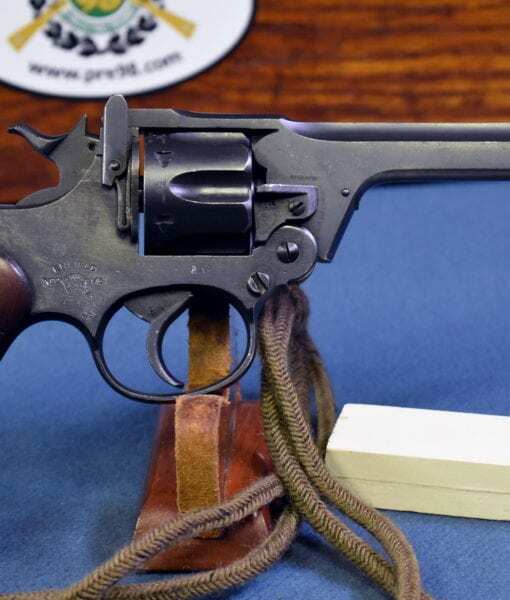 OF COURSE AS YOU CAN WELL IMAGINE THIS GUN IS EXACTLY WHAT WAS CARRIED BY RAF FIGHTER PILOTS ON COMBAT MISSIONS, SO WHO KNOWS HOW MAY SPITFIRES OR HURRICANES THIS GUN HAS FLOWN IN BUT IT WAS CERTAINLY DOING ITS PART DURING DUNKIRK AND THE BATTLE OF BRITAIN!!! 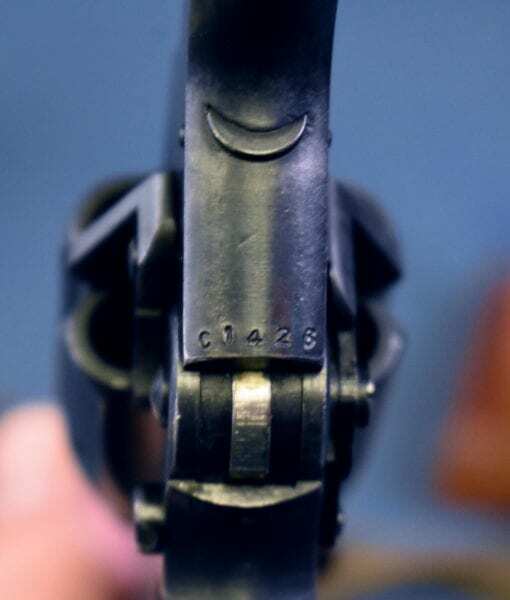 THAT ALONE SHOULD TELL YOU WHY THIS IS SUCH AN INTERESTING PIECE.